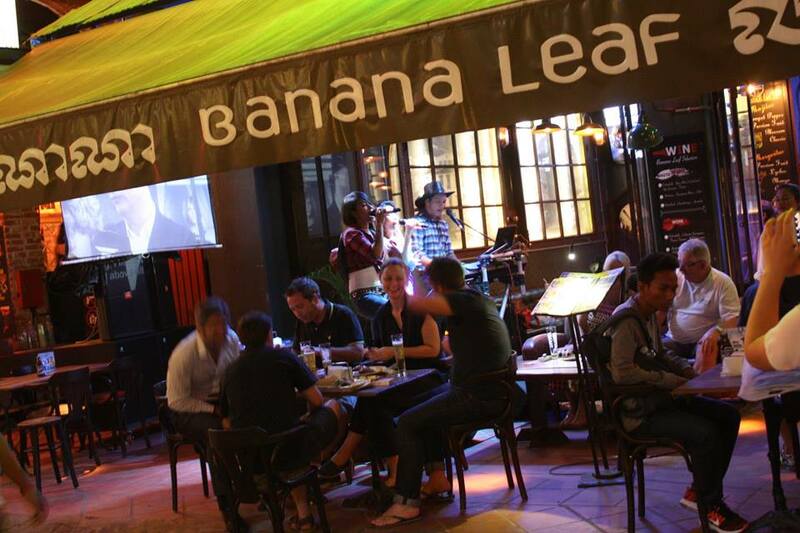 Banana Leaf was one of the first restaurant/bars to open in the now renowned Pub Street in Siem Reap and has been happily serving satisfied customers for over 13 years. If it is live music, a relaxing cocktail or bite to eat that you’re looking for while you watch the action on Pub Street then Banana Leaf is the perfect choice. Enjoy the variety of live bands, prime street-front location, wide selection of wine & specialty cocktails, large projector screens for the sports and quality food; which includes international tapas, dim-sum and our own famous Crocodile Burger. Join us from early till late every day of the week for a great time at Banana Leaf.